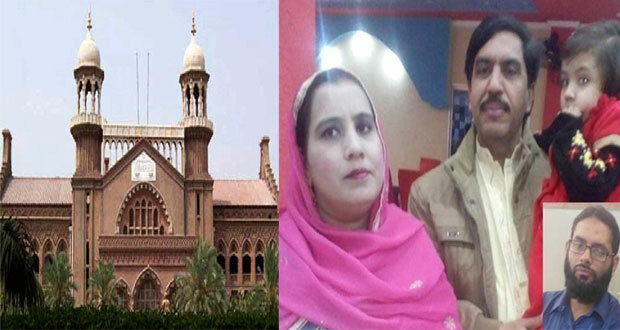 Lahore: Lahore High Court (LHC) on Thursday summoned Joint Investigation Team (JIT) head in Sahiwal incident case on January 28. Amid the hearing, Chief Justice Sardar Shamim asked Punjab Inspector General Amjad Javed Saleemi about the investigation of the case over which, he told that statements of all the witnesses have not been recorded yet. The CJ expressed resentment and inquired who gave authority to police to directly open fire on anyone. The IG informed the court that those who were involved in the firing have been suspended while JIT has also been formed to probe the incident. Justice Sardar further asked to provide time frame for the completion of the investigation over which, the IG said that it will take 30 days. Subsequently, the court has formed two-member bench to hear the case and directed IG to take steps for prevention of such incidents. Last week, the Counter-Terrorism Department (CTD) officials killed four people, including a couple and their teenage daughter in an alleged “encounter” in Sahiwal, triggering a national outcry that prompted the government to take the security officials into custody and order an investigation into the incident. The officials claimed that the ‘terrorists’ were killed in an intelligence based operation (IBO). Three other terrorists including Shahid Jabar and Abdul Rahman managed to flee during the chase near the toll plaza of Sahiwal.